Grow Old with Grace: I Received The "Tell Me About Yourself Award!" 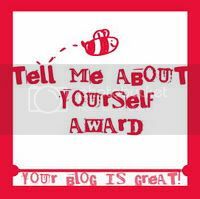 Imagine my surprise when I opened an email from one of my new bloggy friends with this fun "Tell Me About Yourself" Award! (Thanks so much to Sandy at Learning to Walk Alone! 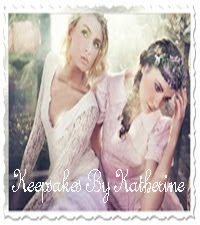 Please pay her a visit and follow her blog!) Me, who never wins anything much. It so brightened my day! 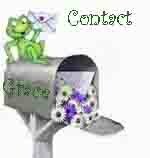 I had to get busy selecting 15 others to send it to. How on earth would I decide which, of all my favs would be the ones on whom to bestow this honor. 1. I must tell seven things about myself. 2. 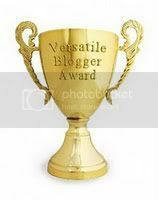 I must pass the award on to 15 other bloggers. 1. I am a Born Again Christian. 2. I am a Red Hat Queen, known as Queen Whoopti-Do in my Red Hat circles. 3. I am Grandma to eleven wonderful grandchildren. 4. I have a pilot's license (not current) to fly a Hot Air balloon. 5. I love to take photographs of windmills. 7. I am a chocoholic! 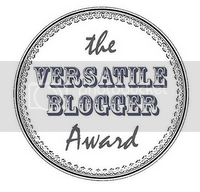 More rules: Each person who received this award must write seven things about themselves and then pass the award onto 15 other bloggers. 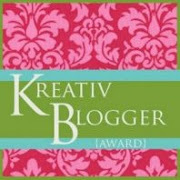 To copy the award logo, right click, click on copy, the go to your new blog post and click paste. I hope you have as much fun with this as I did! I was surprised to find my blog on the list, Thank You! #6 I know what you mean, someone else takes up my time. #7 I'm trying to break the habit, though not completely. You sound very blessed and your "friend" posts adds to your happiness. Thanks so much. Wow... great list, and a piolot for a hot air balloon. That is fascinating. New End... you beat me to the computer today! An email is on its way to you.LOL Sounds like we have several things in common! What a surprise! I shall do this today! Loved hearing about you! What a cool list. :) Love it. Stop by The Pink Home if you get a chance. Thank you so much Grace! You have certainly brightened my evening here in Jamaica! I will write a post on it soon. I found the 7 things about you very interesting. Take care and have a good week. Gert - Have fun choosing your 15! Eileen - I stopped by & left you a comment. I am now a follower! Judy - Isn't if fun to try something different and at the same time get smiles from your friends? Such a great list. I want to someday be a Red Hat Queen like you. 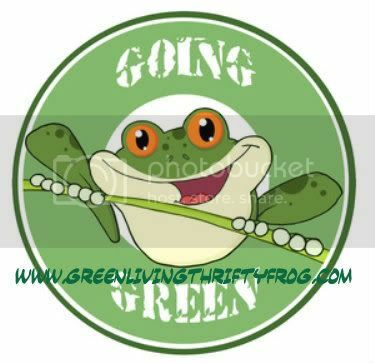 Dee, thanks - I am now following you, too. Vanessa, have fun with the award...and I hope everyone is well by now!